The IRON HORSE #SummerOfTheRedWillow #ChangeTheName PSA first premiered at the 2014 Gathering of Nations Pow Wow before more than 20,000 people in Albuquerque, New Mexico streaming live on www.powwows.com. Written by Romero and Mirabal, IRON HORSE commemorates the #SummerOfTheRedWillow 10 June 2014 culturally historic name-change of Kit Carson Park to Red Willow Park by the Town Of Taos. Robby Romero rose to prominence with the world broadcast of his first music picture, IS IT TOO LATE and his designation as a United Nations Ambassador of Youth for the Environment. 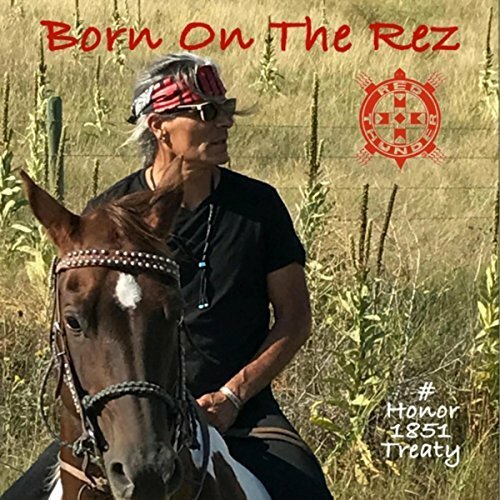 Robby’s American Indian stereotype-breaking “Free Your Mind” public services announcements and music videos broadcast on MTV and VH1 introduced Native Rock Music to the music television generation. From the heart of Indian Country to the main street of the world, Robby has performed with multi-platinum artists, from Bonnie Raitt to Carlos Santana and has shared the stage with musical legends including Stevie Wonder and Yusuf / Cat Stevens, to name a few. His politicized rockumentary films (including, America’s Last Frontier, Hidden Medicine, and Makoce Wakan) broadcast on VH1, Sundance TV, and SABC Africa, catapulted him into an arena of his own making. Robby has received multiple awards and cultural honors in acknowledgment of his work from The National Congress Of American Indians and The United Nations to the industry’s prestigious Cable Ace-Award and Gold and Platinum Records. GRAMMY Award winner, Robert Mirabal, lives with his family at the foot of the sacred Taos Mountain in northern New Mexico. Maintaining a traditional life, keeping the centuries-old customs of the Taos Pueblo people, Mirabal has been described as a Native American “Renaissance man & musician, composer, painter, master craftsman, poet, actor, screenwriter, horseman and farmer”. After several recordings highlighting Mirabal’s “exquisitely nuanced flute playing” (as per the New York Times), his 2001 PBS special and CD MUSIC FROM A PAINTED CAVE brought him national acclaim. Mirabal was named Recipient of the 2014 New Mexico Governors awards for Excellence in the Arts. He is also a Native Children’s Survival Board Member. In an act town officials are calling a gesture of reconciliation, the Taos Town Council has changed the name of Kit Carson Memorial Park to Red Willow Park… Town manager Rick Bellis told The Taos News Wednesday there would be a ceremony in the coming weeks to formally change the name of the park. Bellis said changing the name would help restore the relationship between the town and Taos Pueblo.